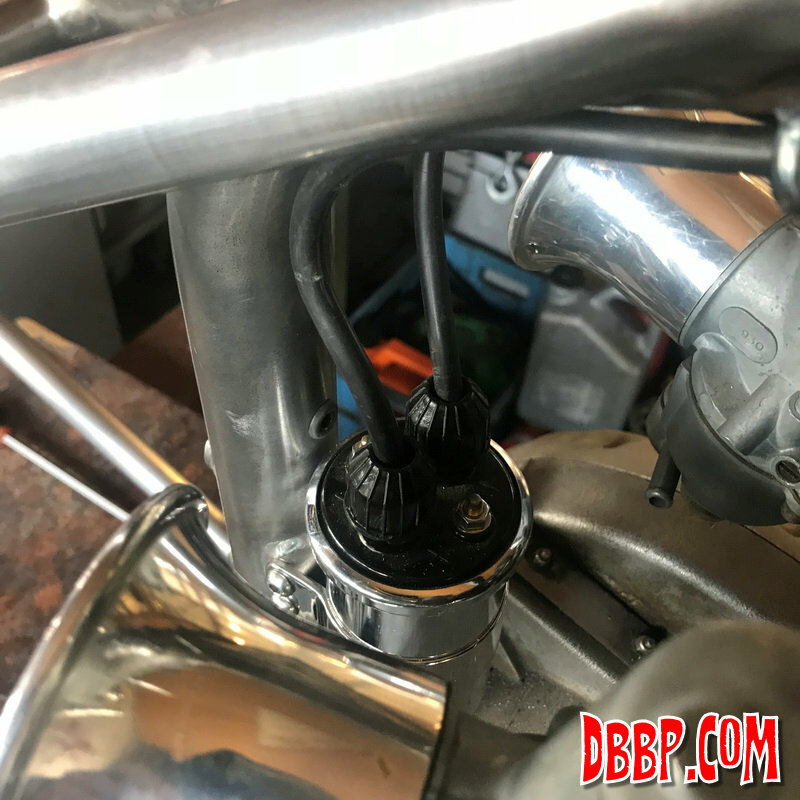 We added a few little clamps to hold the plug wires to the frame, to avoid having to use tie-wraps later. 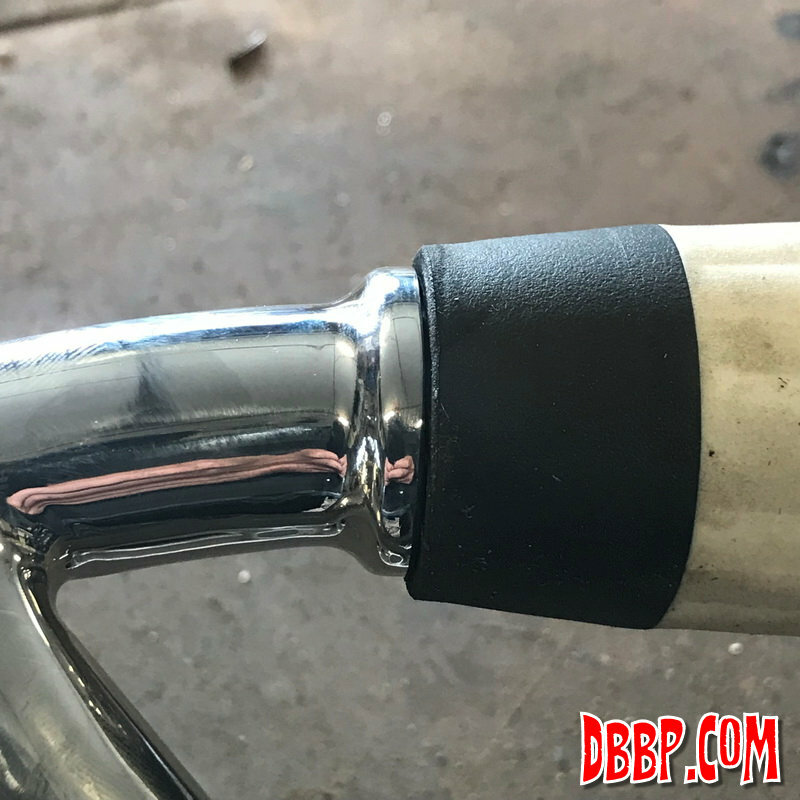 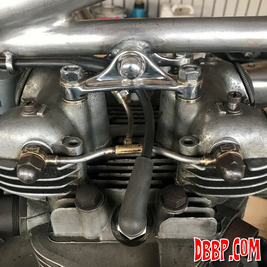 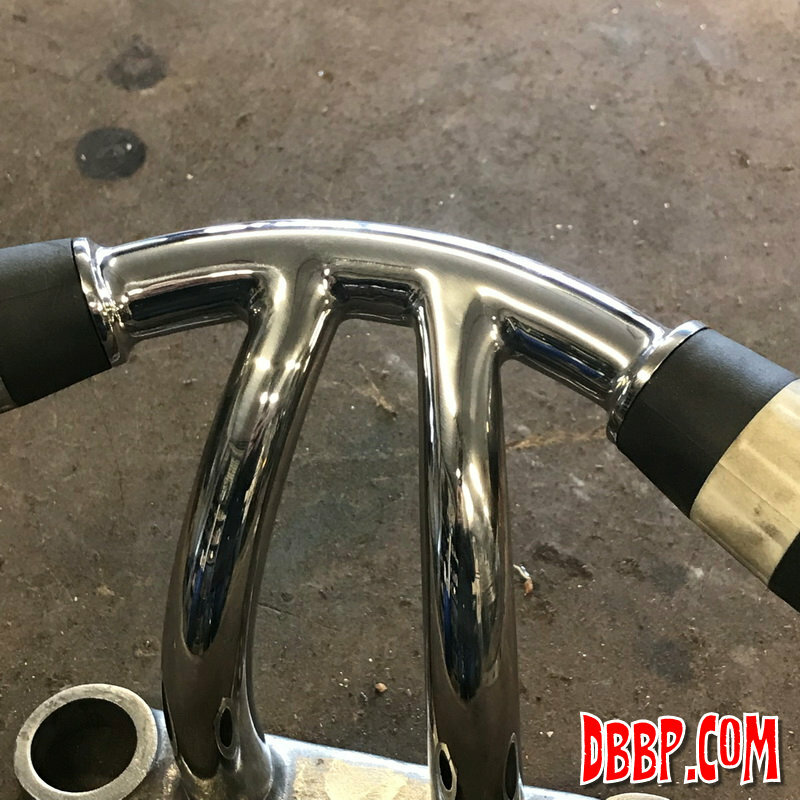 Then we decided to ue an imternal throttle in the handlebar, which was not going to be easy as the handle bar was only 22 mm and had a very tight corner for the cable. 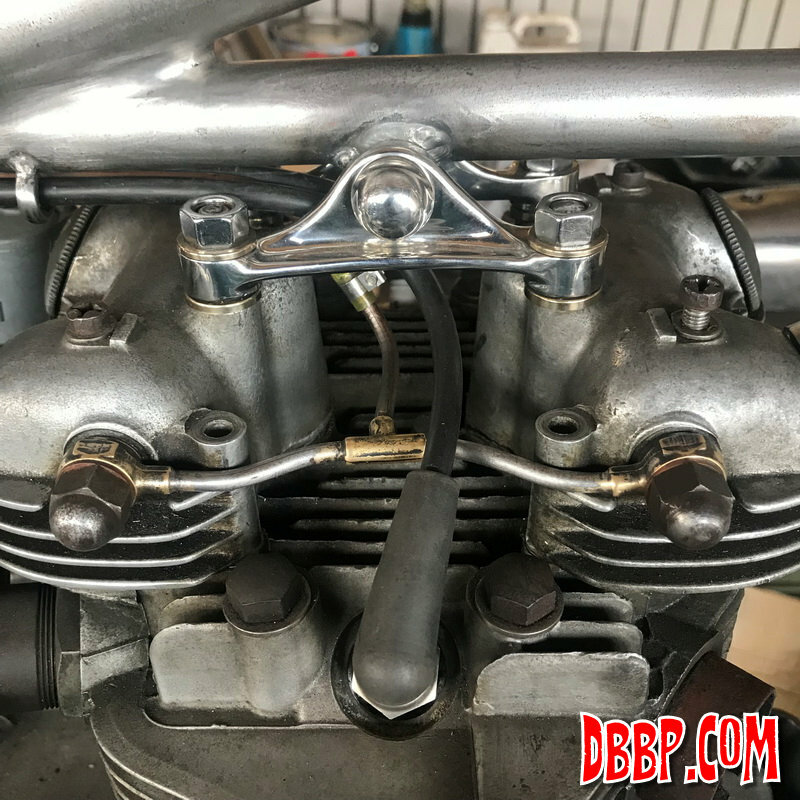 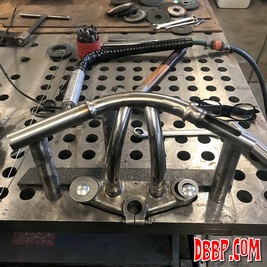 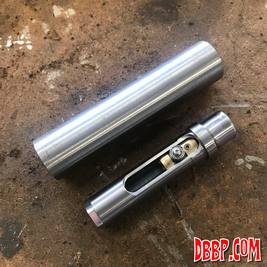 We decided to make a new top part in 1" tube and use a Tolle internal throttle kit. To make it easier to get the throttlecable in we welded in a little oval plate to steer the cable around the sharp bend. 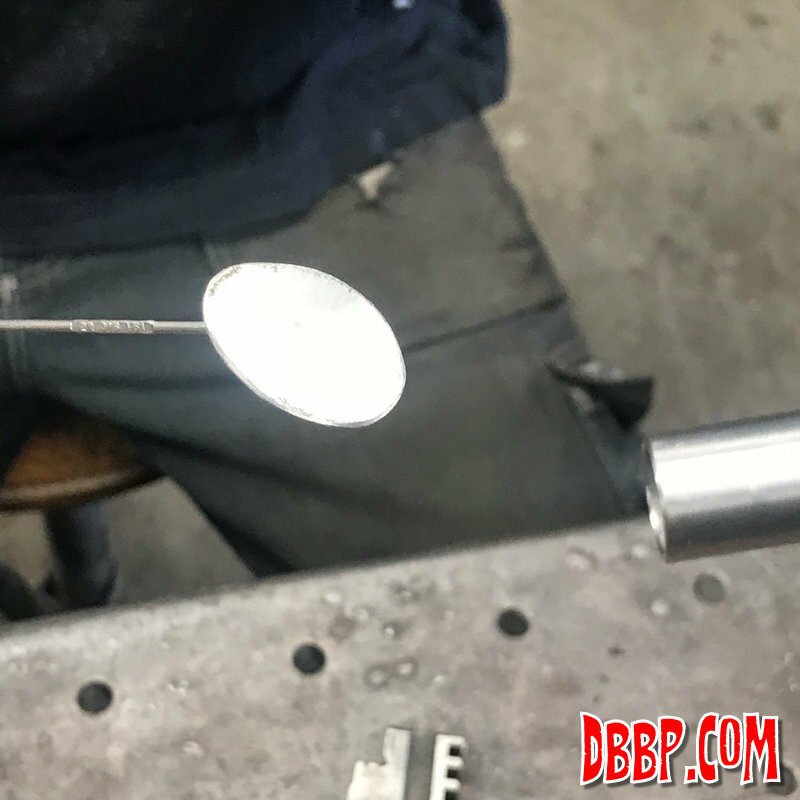 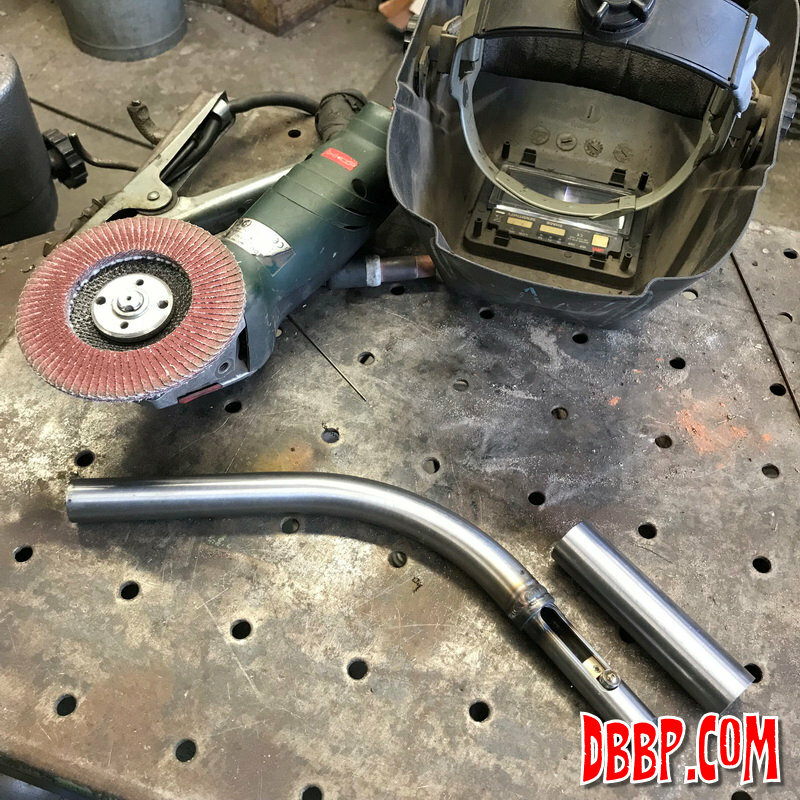 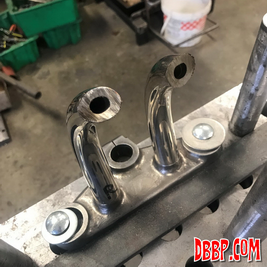 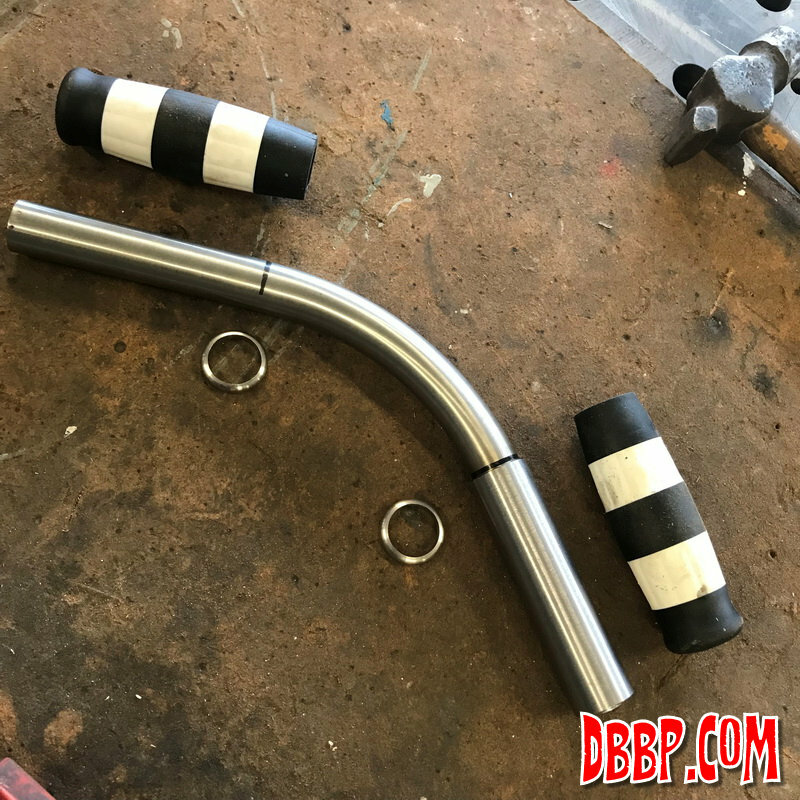 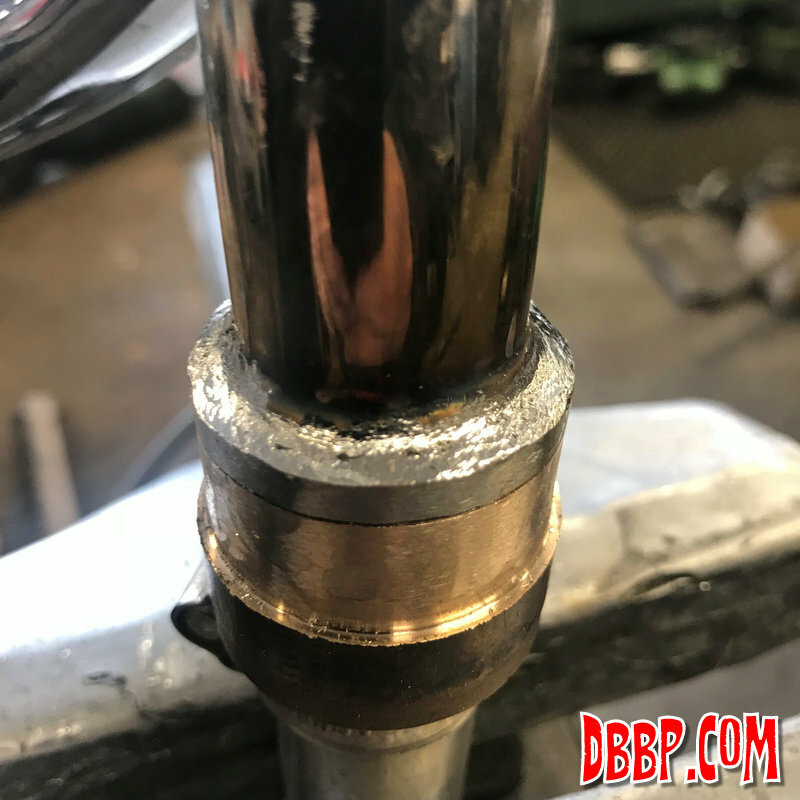 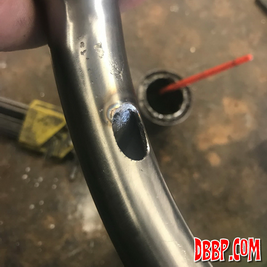 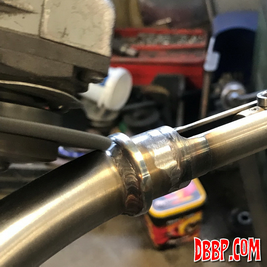 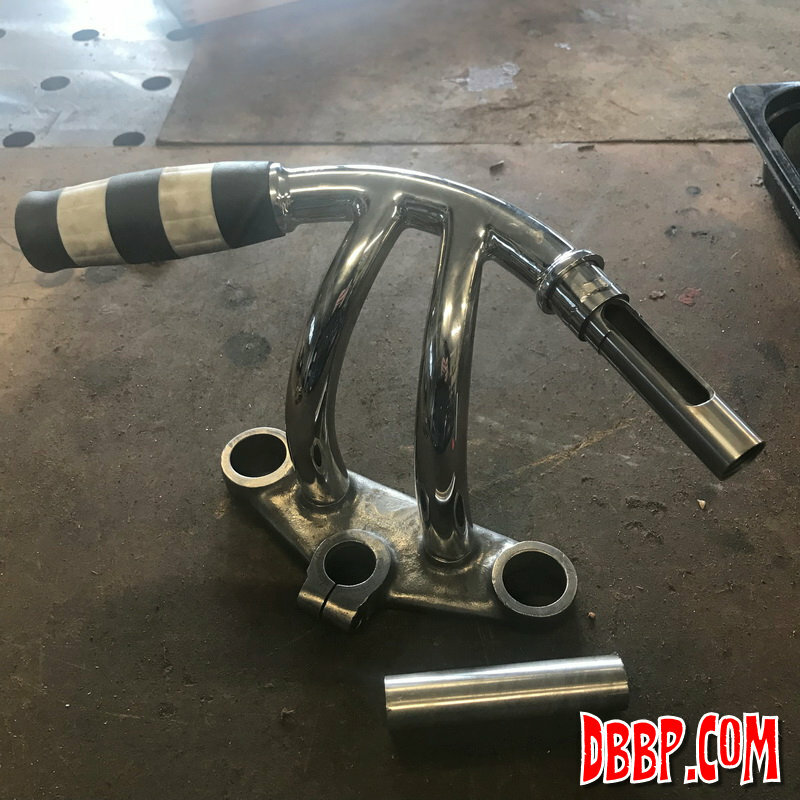 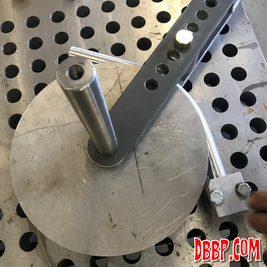 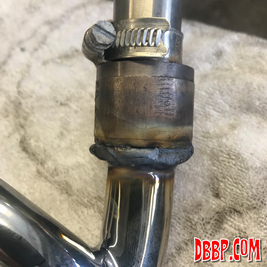 We welded on 2 stainless rings next to the grips, which turned out to be a mistake as the grips ofcourse increase in diameter when mounted and we had measured them unmounted. Oops. Ofcourse we were able to fix this but it did cost some extra time, but I am still glad we changed it again because it looks much better now!